New sport-truck opts for higher-mileage Ford EcoBoost V-6. 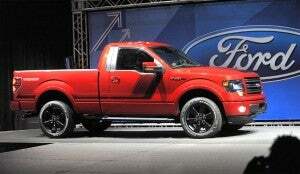 Ford targets younger, hipper sport-truck buyers with the 2014 F-150 Tremor. 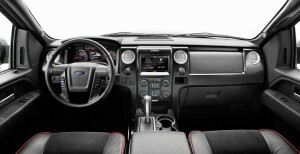 Just because you want to tear things up doesn’t mean you have to swizzle a lot of gas – not with Ford’s new F-150 Tremor. The new sport-truck due into showrooms this autumn will opt for Ford’s EcoBoost which the maker claims can deliver V-8 power but V -6 fuel economy. “The new Tremor gives F-150 customers yet another option to drive a highly capable, distinctive performance truck with features typically found only in the aftermarket,” said Brian Bell, F-150 product marketing manager, during the new truck’s unveiling on Thursday. The debut of the regular cab, short-bed Tremor took many by surprise. Ford has fed the market for pickups with all manner of variants in recent years, but it wasn’t expected to come up with another spin-off until after an all-new version of the F-Series was scheduled for launch in late 2014. 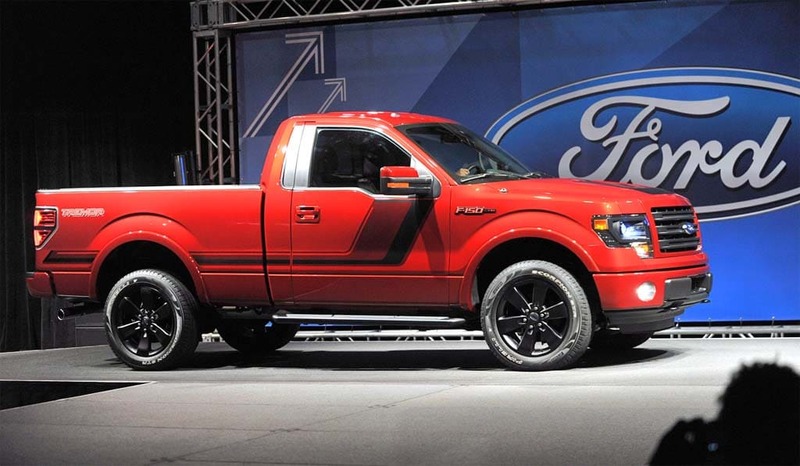 The Tremor is expected to get better than 18 mpg Combined with its EcoBoost V-6. But the Detroit maker apparently decided to sling some rock and muds back at cross-town rival Ram, the Chrysler truck brand that introduced its Ram Tradesman edition in 2011. Targeting those who want a “street truck” with a serious attitude, the Tradesman also opted for a short wheelbase and two-door cab, along with a big Hemi V-8, 20-inch wheels and a hefty towing package. The Tradesman and, now, the Tremor, reverse the general trend of the last decade towards bigger pickups with four doors and back seats. They also appear to be drawing in younger buyers who may be less likely to use the vehicles for work and more for play. The so-called “personal use” pickup market had been fading away in recent years, largely due to rising fuel prices. But Ford is betting potential buyers will find appealing the F-150 Tremor’s mileage – which is likely to exceed the 18 mpg Combined rating for other, bigger versions of the F-150 with the EcoBoost engine. That would be a minimum 2 mpg better than the lowest-priced Ram 1500, the new Express model, which delivers 16 mpg Combined. Available in short-bed, standard cab configuration, the Tremor will boast an upscale feature package. The EcoBoost doesn’t quite match the 395 horsepower of the Ram, which makes 395 hp. 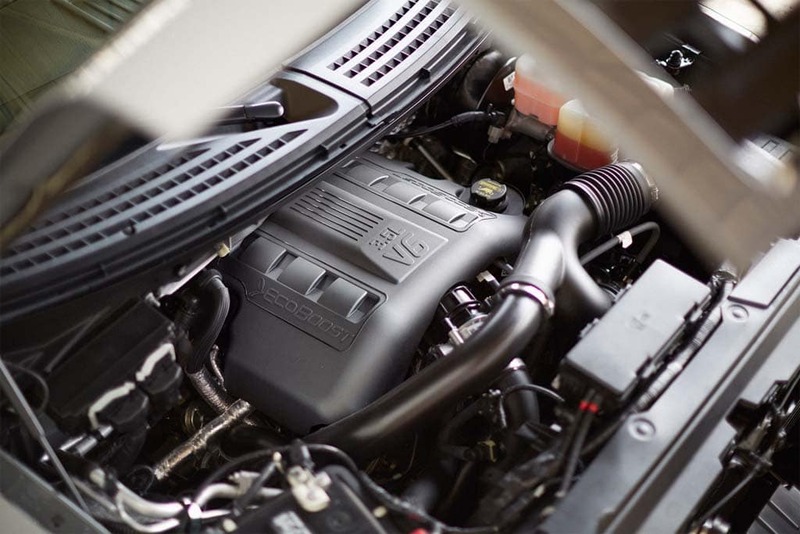 But Ford’s turbocharged V-6 also churns out 420 pound-feet of torque – and it’s torque that gets the wheel’s spinning and largely determines towing capabilities – compared to 407 for the Ram sport-truck. The 2014 Ford F-150 Tremor will be offered in both two- and four-wheel-drive configurations and both versions will get an electronic locking rear differential to help deliver the power to the pavement by improving traction during takeoff. To help the new model stand out from more stripped-down pickups, the Tremor will get HID headlamps and a new FX Appearance Package that includes “stealthy,” flat-black accents including unique 20-inch flat-black wheels, stylized bodyside graphics and black badges with red lettering, Ford notes. Inside, there’ll be bucket seats covered in black leather and red piping, chrome accents and a floor-mounted shifter. Ford hasn’t said what it will price the new F-150 Tremor at yet, but it will be a well-equipped truck that will likely come in just a bit less than the maker’s larger F-150 Raptor, at $45,000. Either truck should make buyers happy though a small Cummins Diesel in the Dodge (and SUVs), would steel a lot of sales from GM and Ford.